In comparison with the 3200 registered Optometrists working in 2300 practices in South Africa, we as Dispensing Opticians are under-represented with less than 200 registrant’s country wide. I am one of a very few fortunate Dispensing Opticians who work in an Optometric Practice where we have a symbiotic relationship with our Optometrists and where we can do the actual Dispensing - this is not true for most other practices in South Africa. 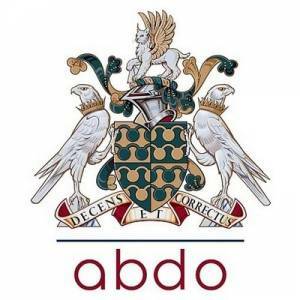 I was also fortunate enough to have done my qualification through ABDO. We do not have a formal Association as yet, but are under the ‘umbrella’ of the SAOA (South African Optometric Association) who in recent months have done a great deal to help ease the challenges of our profession by pleading our case with the HPCSA (Health Professional Council of South Africa) and the PBODO (Professional Board of Optometrists and Dispensing Opticians). Seeing that a ‘greater scope’ cannot be employed by a ‘lesser scope’, Dispensing Opticians are forced to work FOR rather than WITH the Optometrist. Front-line staff - although this is against the law - are more actively involved in dispensing than Dispensers or Optometrists themselves and in many instances, they would advise patients not only on frame, but also lens choice. We are registered with the HPCSA with our scope of practice outlined, but this is disregarded by most Optometrists – we can speculate and wonder if this is because our qualification is regarded as sub-standard or simply just disregarded altogether. Maybe the biggest problem is the fact that we only have one training facility for Dispensing Opticians in South Africa – namely the Cape Peninsula University of Technology. The only other option is ‘The Association of British Dispensing Opticians’ whereby you can follow their Distance learning program and do your practical examinations in the UK (this of course is an expensive route and not everyone has the means to pay for this). After qualifying you still need to register for a year with the Cape Peninsula University of Technology before you would be allowed to register with the HPCSA. This is a golden opportunity to have more training facilities for Dispensing Opticians and we are working hard behind the scenes to see if we could realise this dream. In the meantime, we need to get the Optometrists to believe in our profession. We need the HPCSA to take action against the people who do not obey the Health Professionals Act on ‘scope of practice’ and we need some positive energy to get parties involved in more training facilities. At these facilities we could not only train future Dispensing Opticians, but also help front-line and other supporting staff to gain knowledge and work themselves up the training ladder to become assistants for Dispensing Opticians and have an opportunity to then qualify as Dispensing Opticians themselves. We live in a country where the need for basic health services is crucial – with not enough skilled professionals to fulfil this need. The question arises: Why not broaden the scope of practice for the Dispensing Optician to be able to do basic refractions and have them together with the Optometrists do a certain amount of hours field work every year to help in disadvantaged communities? Maybe if we work together, we can realise more than one dream by helping those in need as well as keeping our professions alive. Jorina has qualified under the Association of British Dispensing Opticians in 2004 and is registered with the Health Professions Council of South Africa. She has also been internationally trained in optical laboratory practice in both edging and surfacing. She has been the external examiner and moderator in the subject of ‘Dispensing’ at the School of Optometry at the University of Johannesburg for the past 8 years and is a speaker at Optometric Conferences on practical Dispensing. Jorina has a total of 31 years’ experience in the optical industry and has been a qualified Dispensing Optician in private practice for the past 15 years.